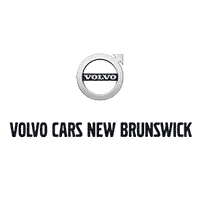 VOLVO CERTIFIED PRE-OWNED S90 T6 INSCRIPTION AWD WITH FACTORY VOLVO EXTNEDED WARRANTY TO 160K! 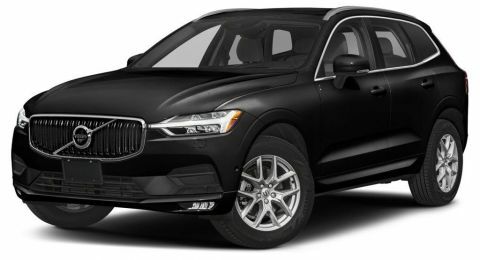 This Magic Blue S90 T6 Inscription AWD is powered by a 2.0L 4-Cylinder Engine and an Automatic Transmission. 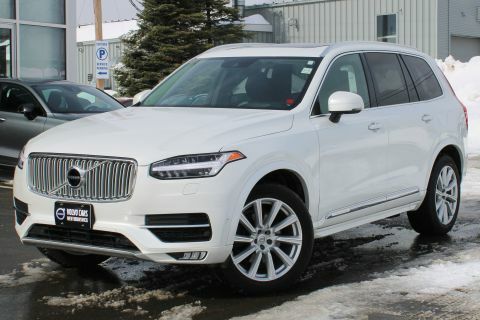 It comes fully equipped with Climate, Convenience and Vision Packages which includes Power Heated and Cooled Amber Nappa Leather with Drivers Memory Positioning, Factory Volvo Navigation System, Rear View Camera with 360 Degree Parking Sensors, Power Sunroof, Premium Bowers and Wilkins Audio, Heated Multifunction Steering Wheel, Rear Heated Seats, 20 Inch 8-Spoke Alloys, Blind Spot Information System, Head-Up Display, Lane Keeping Aid and Cross Traffic Alert, Dual Climate Control, Bluetooth Hands-free, Satellite Radio, Factory Volvo Keyless Entry with Remote Trunk Release, City Safety, Power Locks and Windows, Active Bending Headlights, Adaptive Cruise Control and much more! 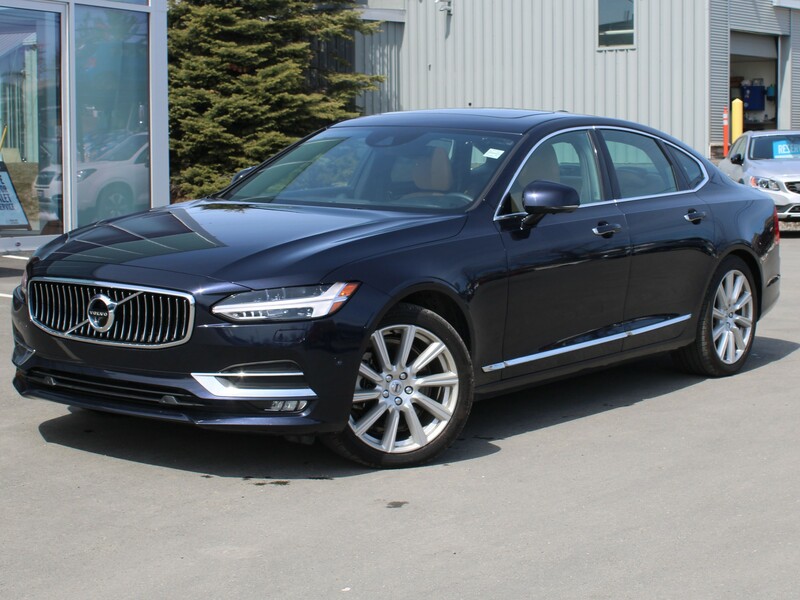 This Volvo Certified Pre-owned S90 is Exceptional Value to say the least. 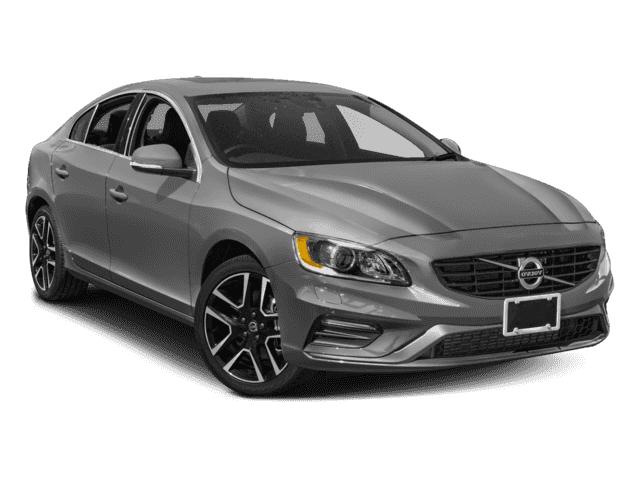 With the savings off original MSRP for very minimal mileage PLUS the value of the Volvo 6-Year 160,000 KM Extended Warranty, you are saving nearly $35,000!!! Needless to say it will not last long! !